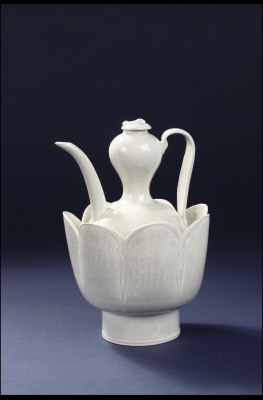 A ewer with a globular body, curved spout and flat handle, its round shoulders tapering to a slender neck that ends in a garlic-bulb shape. The cover has a thin stalk and curled leaf applied as a knob. 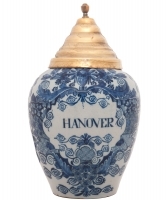 The ewer is hardly decorated. The handle has two deeply incised lines and the body is decorated with a very subtle motif of children playing. 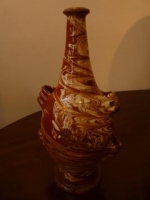 The undersides of both ewer and cover are unglazed, the rest is covered with a translucent glaze of greenish-blue tinge. The seven-lobed bowl with tall cylindrical foot is decorated in very low relief. Apart from the inside of the base the whole basin is covered in glaze with airbubbles and cracks. The inside of the basin shows signs of use. 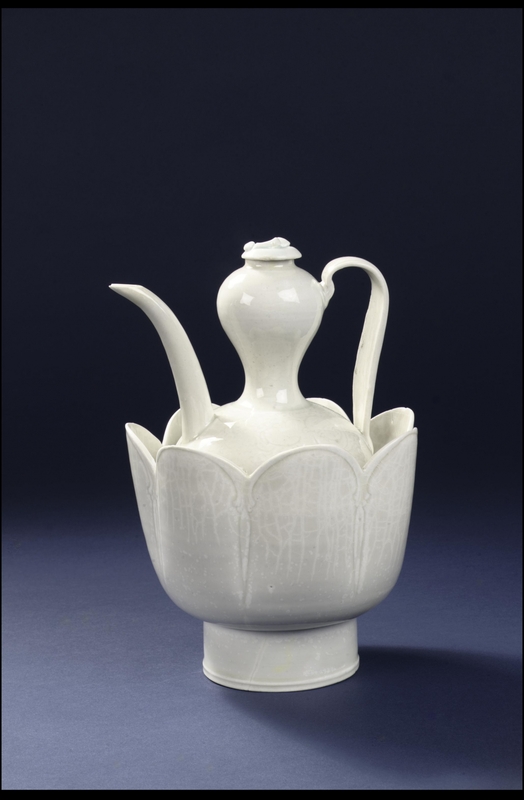 Related ewers and basins were made throughout the Northern and probably also the Southern Song dynasty, but only few have survived to this day. 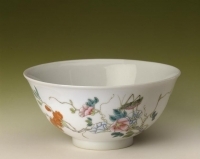 Most of them were made at Jingdezhen in north Jiangxi province. The wares made there are referred to as qingbai ('bluish-white') or yingqing ('shadow-blue') ware. 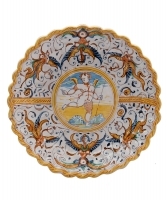 The basin was meant to be filled with warm water, which would in turn warm the wine in the ewer. The Chinese have produced alcoholic beverages from as early as the Shang dynasty. The general term used for wine, beer and spirits is jui, which makes it difficult to know exactly to what kind of drink is referred to in e.g. literature. In any case, it is clear that alcohol was used for three purposes: as a libation offering to the forefathers, as a means of gaining inspiration for writing poetry and literature and to toast relatives and friends during a feast.